1 bed room luxury house boat. The boat is having one master bed room with attached bath room, one glass covered lobby where dining table and chairs are provided. Lake Ripples Houseboat has super luxury 1 bed room with top floor, attached wash rooms, covered dining area on the top, open roof, an AC hall and a Jacuzzi facility inside the rest room. The houseboat is having a total 6 rooms out of which 4 rooms are on the ground floor and 2 rooms on the top floor. 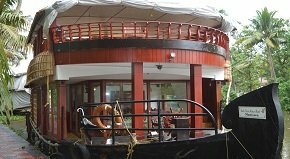 Adityan Houseboat is a Luxury 2 bed room Houseboat with Top Floor located in Kumarakom, Kerala. It has front lobby which is fully glass covered. 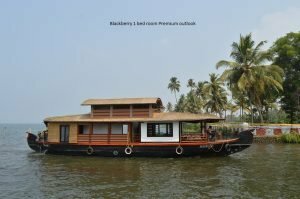 Blackberry Houseboat - 1 bed room premium house boat. The boat is having one master bed room with attached bath room, one glass covered lobby where dining table and chairs are provided. 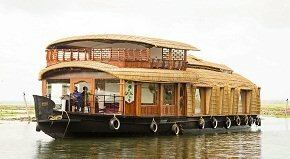 Kerala is popular place for houseboat experience on their backwaters. BlueJelly Cruises offer different types of houseboats with luxurious & deluxe rooms and facilities. 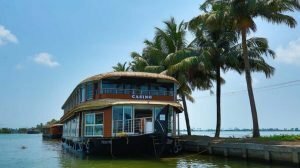 CASINO - a luxury 11 Bed room houseboat is the biggest houseboat in Alleppey or Kumarakom as on 15 May 2017. 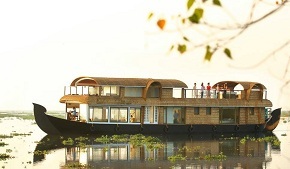 Enjoy your ride in Kerala Backwaters with all premier amenities. 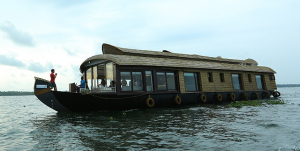 Maniyara houseboat is a owned houseboat & operated by Lake view houseboats in Kumarakom, Kerala. 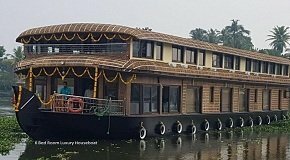 Maniyara Houseboat is a Premium 1 bed room Houseboat with Top Floor and also specially designed boathouse for honeymoon couple. 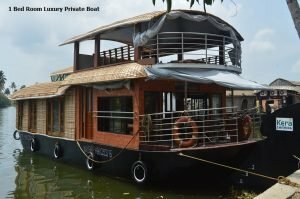 Leia Houseboat is a super luxury 3 room houseboat in Kumarakom, Kerala with top floor and attached wash rooms which has one big lobby with dining table, sofa sets, etc. 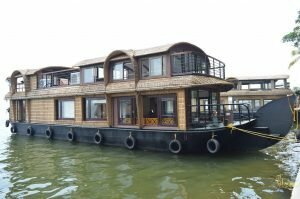 Palazhi Houseboat - A super luxury 3 room houseboat with top floor and attached wash rooms. 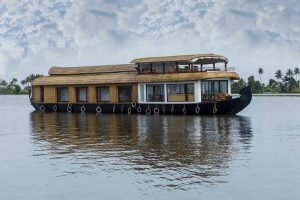 The boat is owned and operated by famous Lake View Houseboat, Kumarakom, having 14yrs experience in houseboat operation. The boat has one big lobby, 3 luxurious bed rooms on the ground floor with attached wash room and a top floor.